We’re not worried at all. Naspers has done the right thing for Naspers… they had to do this… I think it was very elegant. Naspers will soon start separating from its global internet assets – including its $133 billion stake in Tencent – which it will then list on the Euronext Amsterdam stock exchange. The Cape Town-based company is Africa’s largest. It accounts for about 25% of the entire Johannesburg Stock Exchange (JSE). Roughly 25% of Naspers’ market cap will have moved to Amsterdam once the deal is complete. Naspers will retain control of the new internet firm – called ‘NewCo’, for now. NewCo will be Europe’s biggest listed consumer internet company. The Money Show’s Bruce Whitfield interviewed Basil Sgourdos (CFO at Naspers), David Shapiro (veteran stockbroker and Deputy Chair at Sasfin) and Nicky Newton-King (CEO at JSE). Listen to the interview in the audio below (and scroll down for more quotes from it). The Money Show’s Bruce Whitfield interviews WeBuyCars founder Faan van der Walt for his weekly "ShapeShifter" feature. Naspers constitutes a whopping 20% of the Top 40 index. Bruce Whitfield interviews Personal Financial Advisor Warren Ingram. How much would Naspers be worth without Tencent? Bruce Whitfield interviews Old Mutual Investment Investment Analyst Philip Short. 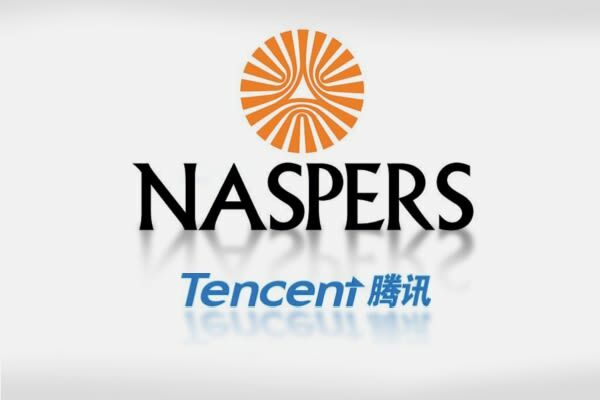 Is Naspers too dependent on Tencent? We interviewed Naspers CEO Bob van Dijk about the perceived over-reliance of his company on Chinese behemoth Tencent.